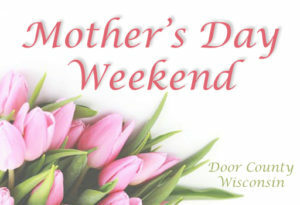 Celebrate Mother’s Day in beautiful Door County, Wisconsin this year! There will be Live Music at The Cookery Restaurant & Wine Bar in Fish Creek on Saturday, May 12, 2018 in honor of Mother’s Day. 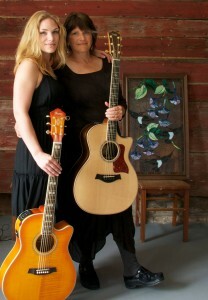 The Girls of Small Forest, a local mother/daughter duo will be performing in the Wine Bar from 6-8pm. Jeanne Kuhns and Marybeth Mattson play original indie/folk/pop music as well as eclectic covers with acoustic guitars, percussion, and family-style harmonies! Enjoy delicious food, drinks, and desserts as you listen! 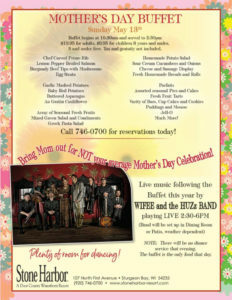 Check out the Mother’s Day Brunches & Buffets in Door County on Sunday, May 13, 2018 and treat your Mom to a special meal with no cleanup! These buffets and brunches recommend reservations to ensure seating so don’t wait to call while there are still times left… there are options from Sturgeon Bay all the way up to Ellison Bay with reservation options from 9am to 3pm. 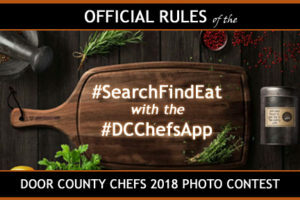 Find what you’re hungry for with the FREE Door County Chefs Mobile Dining App for iPhone and Android – and don’t forget to enter our Photo Contest to win Door County Restaurant Gift Certificates! Click on the Official Photo Contest Rules for more info and photo winner selection! Door County Lighthouse Vacation Rentals offers 7 different kinds of lodging for your family, couples traveling together, reunions, wedding attendees, and groups attending Door County, Wisconsin events. We have our Awesome Sunset Condo Too available this weekend for 2 night stays. The condo has 2 bedrooms with one or two baths depending which condo you choose. The view of the village and the sunset over the bay is outstanding! These two condos have an outdoor swimming pool. We also have three units available for 2 night stays at our Off the Beaten Path 4 unit apartment building which is pet friendly with approval. Each unit has 2 bedrooms, full kitchen, living & dining area, with one bath. The Kornerstone unit on the upper level also has a fireplace. These units have patios or decks and is a great option for groups or multiple families. These rentals have a 3 night minimum stay and a 10% discount on any reservation of 5 nights or more. For more help finding lodging for your stay, try our FREE Concierge Service and follow Door County Lodging on Facebook to hear about lodging specials, available rooms, and last minute cancellations first!